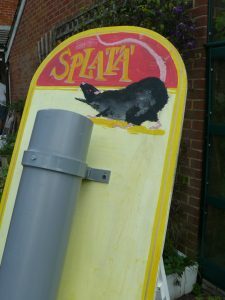 Splat the rat is a great game, perfect for fetes and other fundraising events. 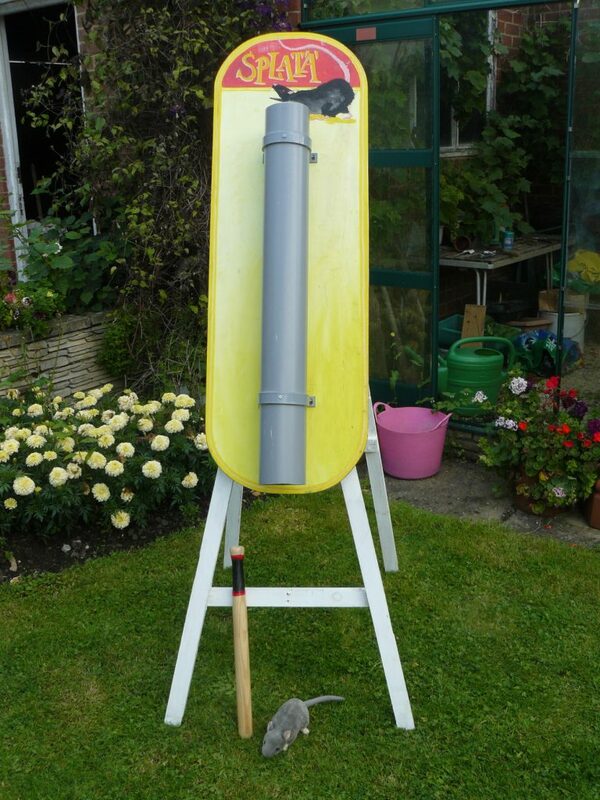 In this simple game the stall holder holds the rat by its tail at the top of the drainpipe and then drops it without warning. 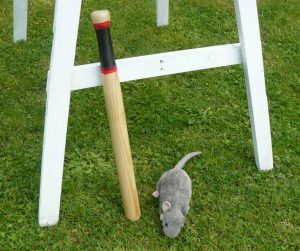 The customer must then hit the rat with the bat as it comes out of the bottom of the tube to win a prize. It’s much harder than it sounds and can be made even harder if the rat dropper holds their hand inside the tube so the tail cannot be seen. Game includes a bat and furry rat. Size of game is 184cm high (you will need an estate style car if collecting).